If you visit Tokyo, chances are you'll be somewhere near Tokyo Station at some point. 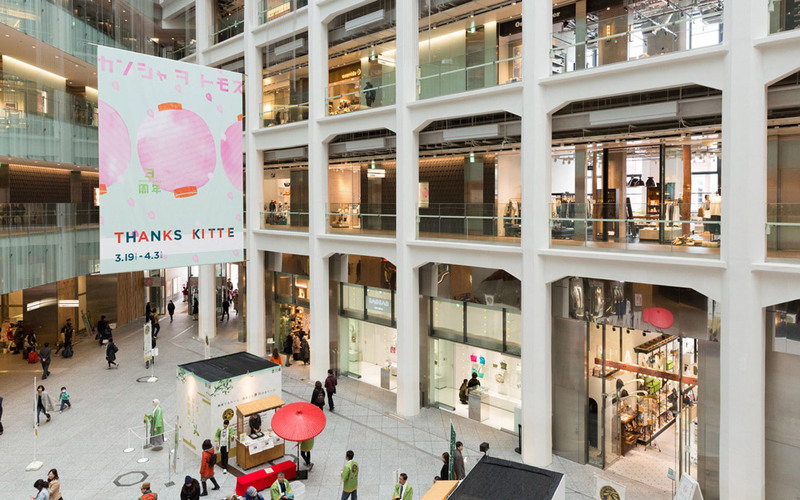 This is your opportunity to check out one of Tofugu's favorite shopping places: KITTE, a retro-chic mall inside the old Japan Post building. Getting there is easy. Just take the Marunouchi South Exit from Tokyo Station and walk across the street. It's right there. The name KITTE was chosen for two reasons. First, the word kitte 切って means "postage stamp" in Japanese. Second, it sounds close to kite 来て, which means "come." KITTE is actually part of the JP Tower high-rise, which was built in 2012 and replaced the old Japan Post sorting facility. 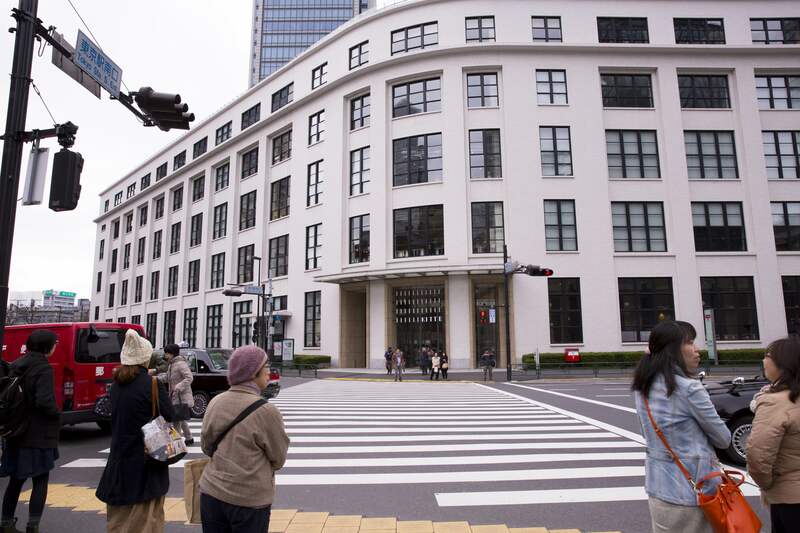 In the process, the five-story frontage of the Tokyo Central Post Office was renovated into the KITTE Shopping Mall. The original building was constructed in 1931 and employed 2,600 people, so the renovation project was a great way to revitalize the area while preserving history. And "revitalization" was KITTE's catalyst. The Tokyo Station area is a massive transit hub, but for a long time it really wasn't a "destination," a place people shop or meet friends. So the city government enacted development projects to entice people to visit and stick around; projects like turning an old post office building into a high-end shopping facility. The name KITTE was chosen for two reasons. First, the word kitte 切手（） means "postage stamp" in Japanese. Second, it sounds close to kite 来て（）, which means "come." So the name almost beckons you to peek inside and see what you can find. Ready to explore KITTE with me? We're going to start at the top and work our way down, because the roof is my absolute favorite part of the building. Because we passed through Tokyo Station a few times on our trip, we ended up back at KITTE a lot. And each time, I went straight for the rooftop garden. At a whopping 1,500 square meters, this is a great place to walk around and take in the city. There's an especially nice view of the Tokyo Station rail yard for all you train otaku. You could spend a good thirty minutes just watching the trains coming and going, if you're into that sort of thing. There's not much to "do" up here, but that's the appeal for me, I think. Almost everywhere you go in Tokyo, there's something grabbing your attention, so coming up here and "rising above it" is a nice experience. You're in Tokyo, but you're not "in" Tokyo. Just below the rooftop garden is the most delicious area of KITTE. On the fifth and sixth floors, there are around fifteen restaurants to choose from and all are high quality… at least, we presumed this based on the long lines that formed right at 11:00am, when they opened. 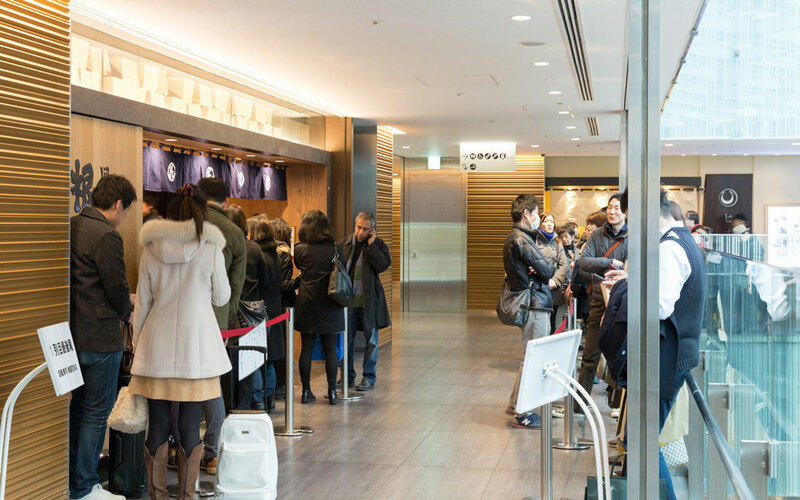 The conveyor belt sushi restaurant called Nemurohanamaru 根室花まる（） on the fifth floor had the longest line by far. From what we heard, the prices are very reasonable and they serve top grade fish from Hokkaido. We don't know firsthand because we never had time to brave the line, despite having made several trips to KITTE. I'm hoping to try it next time I'm in Tokyo. Bypassing the sushi, we popped into Torimotsuen とりもつえん（）, a famous restaurant from Hakata that specializes in nabe and meat dishes. They've been serving up hotpot for over thirty years and garnering praise for their secret soy sauce soup base. If you're visiting Tokyo in the cold winter months, I recommend you eat here to warm up (especially if you just came from standing on the cold, cold rooftop). Many shops in KITTE are tax free for foreign tourists, so be sure to bring your passport to get that sweet discount! Starting on the fourth floor, we start seeing shops, which are arguably the most important part of a shopping mall. According to the JP Tower Guide, the theme of this floor is "integrating new and old sensitivities" and I think every shop reflects that. 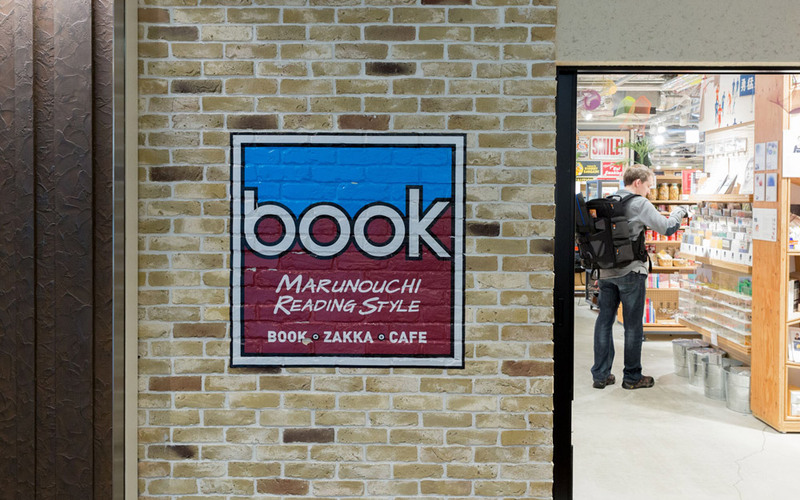 There are fashion items, books, and household goods galore; an excellent place to pick up omiyage for your friends and family, not to mention a few little things for yourself. Best of all, most of the items are made with traditional Japanese crafting methods, like cloth dyeing and woodworking. There were a lot of great stores, but if I had to pick two favorites, they would be nugoo and Hacoca. nugoo sells handmade tenugui and Hacoca offers artisan woodwork, like these wooden iPhone cases made from cherry, walnut, or rosewood. Note: many shops in KITTE are tax free for foreign tourists, so be sure to bring your passport to get that sweet discount! You can also visit the preserved office of the Tokyo Central Postmaster General, which is neat if you're into Japanese postal history. The second and third floors are all fashion, and it is quite high-end. You didn't expect to wear your normal clothes with your new walnut iPhone case, do you? 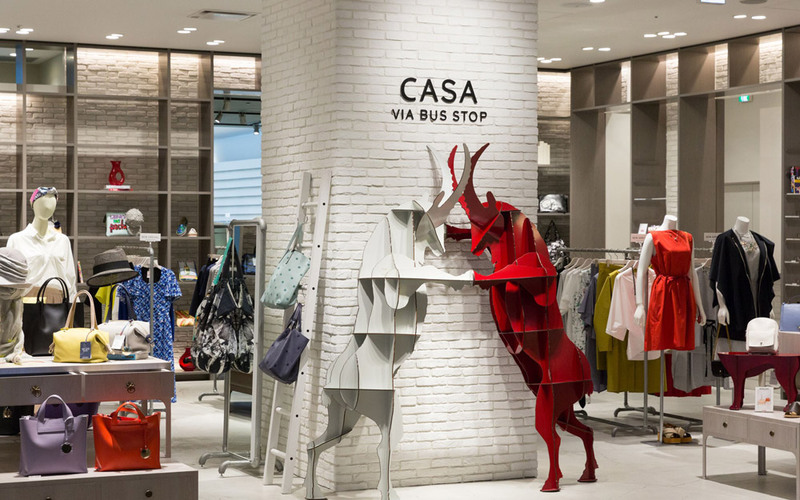 Of course, there's more space devoted to women's fashion than men's, but that's true no matter where you go. I had a lot of fun window shopping here, making a mental checklist of all the things I'll buy when I win the lottery. The only things that truly made my heart leap were CAL's uniquely designed handbags. Unfortunately, I was so entranced by the beauty of these purses that I forgot to take pictures. 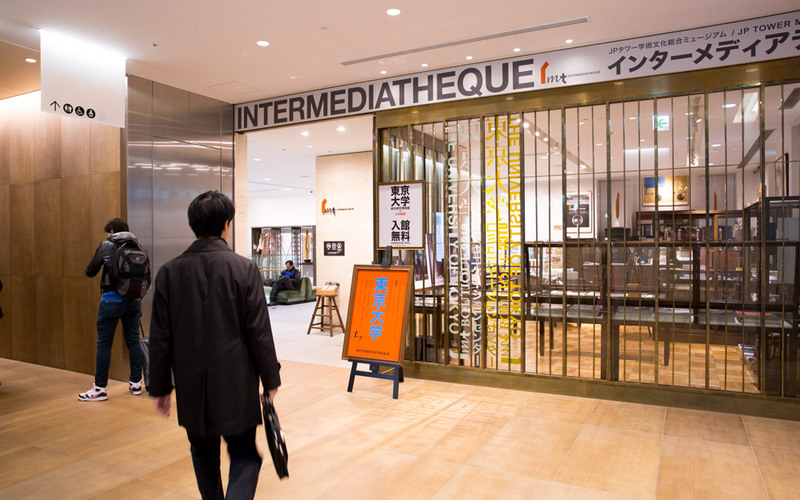 In addition to the shops on the third floor, there's also a free museum called INTERMEDIATHEQUE. Koichi has been here a couple times before, and he describes it as "a really good value for your money and better than some not-free museums I've been to." As indicated by its name, this is a facility dedicated to interdisciplinary experimentation venturing into cultural creation of a new kind based on the fusion of every means of expression … The design policy conducting the revival of this historical heritage within the contemporary urban cityscape is one of the highlights of the exhibition. Special exhibitions and events will also present the fruits of contemporary scientific research and artistic expression in harmony with the permanent exhibition. Wow, there's a lot of skeletons! This is pretty cool. If either description doesn't clarify things for you, other websites indicate that it's filled with all kinds of artifacts like mummies, dinosaur skeletons, gramophones, and the like. Apparently it's really neat and I'll be sure to visit next time. But photography is prohibited so don't expect us to update with pictures. During another visit, there was a pop-up cafe with drinks from various traditional tea shops across Japan. We finally made it to the first floor! The theme here is "to connect and be connected," which makes sense when you consider this is you entry point, the hub that connects you to everything else in KITTE. Or maybe there's a deeper philosophical meaning I'm not willing to unpack. In any case, this floor has a bit of everything: shopping, restaurants, postal history, and a tourism information center. There's also a tree-filled terrace just outside (though it doesn't compare to the rooftop garden, if you ask me). The large, open area is perfect for all kinds of events and dancing mascot characters. When we were visiting, a parade of Japan Post mascots came marching past. Viet really liked the owl. Following the march of the mascots, we were led to an event held by the Japan Post where you could write letters on special stationery made for the event and send them anywhere. Viet sent his letter to Portland and I sent mine Canada. During another visit, there was a pop-up cafe with drinks from various traditional tea shops across Japan. 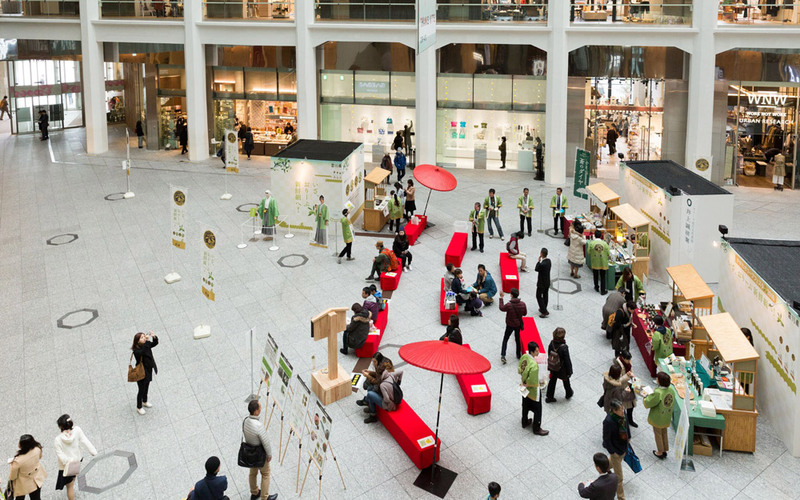 If you're near Tokyo Station often, it's a good idea to visit KITTE to see what new events they have going on. Once you get your bundle of snacks, there's a little place to sit down and eat them, if you're hungry in the moment. I bet you thought we were done when we hit the first floor. 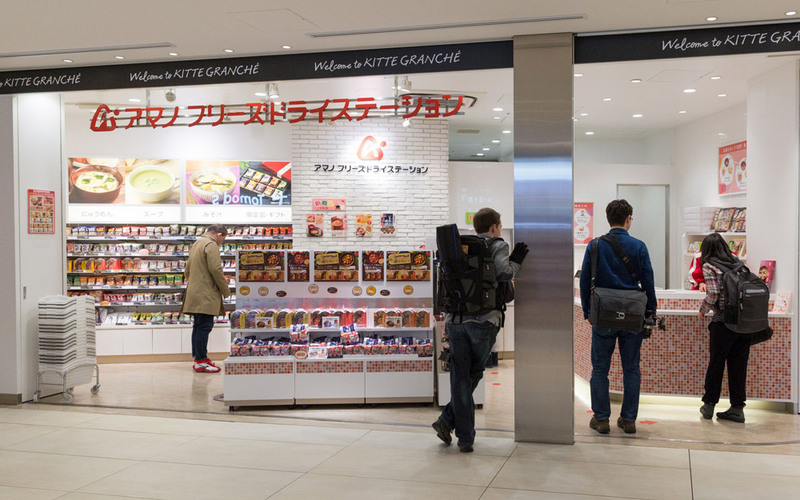 There's also a basement called KITTE GRANCHÉ filled with local specialties from across Japan, like bento lunches, sweets, and breads. 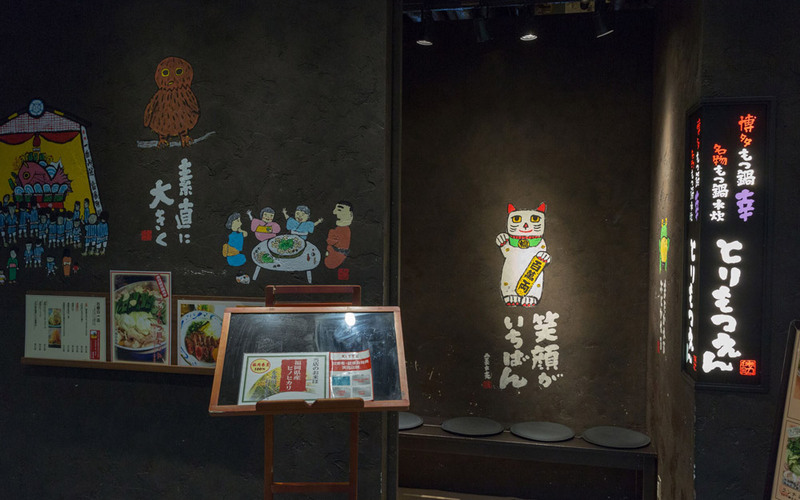 One of the highlights of the basement area (for us, at least) was the freeze dried soup shop called "Amano Freeze-Dry Station" (which we liked so much we wrote an entire article on it). This floor has foods from most major cities in Japan, so if you want to go on a culinary tour, head straight for the basement. KITTE is an excellent place to spend an afternoon in Tokyo. There's plenty to buy and plenty to eat. Even if you're not keen on spending money, there are free things to do, like the rooftop garden and the INTERMEDIATHEQUE museum. It may not be worth your while to make KITTE a major destination during a Tokyo trip, but since Tokyo Station is a major transit center, it's worth spending some time when you're in the area. Just make sure you pay your respects to Japan's rich postal history by visiting the office of the Tokyo Central Postal Chief and bowing your head in silence. The museum is a must-see (and free). You can visit the old postmaster general’s office. There’s a view area on the roof. Oh, and you can go shopping. I’m not a fan of shopping, but I find myself here from time to time because of the quality of the goods and stores. It’s one of about three places I actually enjoy (instead of dread) shopping at. It is a shopping center filled with cute stores. That in itself is a 5–6 rating. Personally, I think the highlight is Tokyo’s oldest post office and its mascots. Another point for Kitte. I liked KITTE, a very spacious and clean place with a lot of good stuff. I like that they have all kinds of popular local foods as well as stylish items made with traditional Japanese crafting methods. Also the rooftop garden with the view is awesome. It’s right in front of Tokyo Station, and I want to go back again next time I’m in the area. It was one of my favorite omiyage/gift shopping spots when I was living in Tokyo. Overall, the stuff there isn’t cheap, but well-selected and good quality.